Today as I perused some old posts, I realized that I’ve been blogging for almost 7 years. I was shocked as I had no idea that it had been that long. Sometimes I took a hiatus here and there, but I’m reaching the 300th post mark rapidly. Some days the blog has been a blessing for both you and I, but some days it’s been a bane – hopefully, though, only to me. So in honor of taking a look back. Here’s one of my favorite posts. Shadows are only fueled by a light source. If the object is close to the light source, the shadow is large. Conversely, if the object is further from the light source, the shadow is small. Noticeable shadows are always larger than the original subject. If the subject moves, the shadow moves. Shadows are concealed in the dark. Shadows appear larger or smaller than it’s subject, but it is always in the same shape as the subject. For the most part, I had never paid attention to my shadow – I know it’s there but it never really seemed that important. That information couldn’t be farther from the truth. Just because I never pay attention to my shadow doesn’t mean that other’s aren’t paying attention. My shadow is the part of my life that I don’t realize is being watched: the choices, actions, words spoken or not spoken that occur on an everyday basis. Whoa! 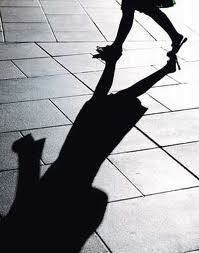 Since I now know that I have a shadow ministry, I wonder what example that shadow is casting on those near me. Scientifically speaking, shadows can appear larger or smaller than a subject, but it is always in the same shape as the subject. Which means my shadow will cast my “true image.” In other words, it will match my basic body shape or in this case spiritual shape. 1 Corinthians 9:27 says, “I discipline my body like an athlete training it to do what it should. Otherwise, I fear that after preaching to others I might find myself disqualified.” If my life is not lived as I speak, then what I “preach” will not match up and people will stumble. Yikes! I remember reading something about making people stumble connected with the idea of having a large rock tied around my neck and being thrown in the river. Not so good! One last snippet about shadows: the closer you are to the Light, the larger the shadow. That scientific fact illustrates a pretty clear spiritual truth, so I needn’t say anything more, except to ask one question: how strong is your shadow ministry? This entry was posted in Mentoring, Personal Devotions, Spiritual Encouragement on March 9, 2015 by aliciachall28.